Moments of history shape the sights you’ll see in the cities featured on this 14-day Danube River Cruise, Berlin and Kraków included. Three nights in Berlin chronicle past political divides with a look back at Iron Curtain curfews, Jewish hardships and wartime woes while cultural narratives in the museums on Museum Island showcase an evolution of art through the ages. You’ll visit picturesque Bavarian towns like Bayreuth, where composer Richard Wagner lived in 1872; Nuremberg, acclaimed as a leading arts and cultural center in the 15th and 16th centuries. Crossing into Austria, stop at Linz for a walking tour or boat ride in the nearby Lake District, explore Krems and the Wachau Valley by bicycle and attend an evening in Vienna at a private palace. 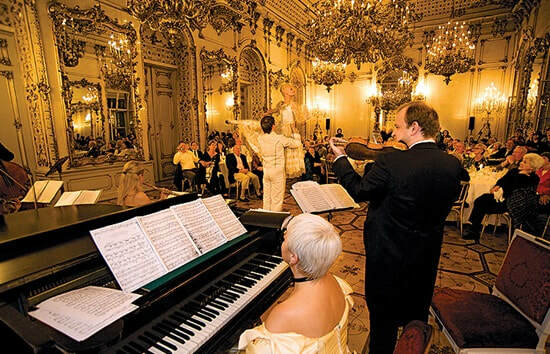 Poignant pauses in Kraków, Auschwitz and Kazimier pay homage to lives lost during a three-night stay at the Sheraton Grand Krakow, overlooking beautiful Wawel Castle. Join us for a guided visit to the Baroque city of Potsdam, where the WWII-in-Europe-ending treaty was signed, attractively rebuilt after its wartime losses and a showcase of beautiful gardens and grand palaces. 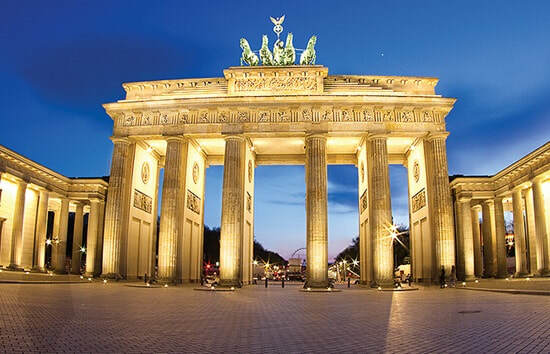 Your second sightseeing choice is an opportunity to explore World War II history in Berlin – and your third sightseeing choice is also in Berlin, an opportunity to learn more about the unification of the split city through a tour of contrasting sights and stories. Music lovers will delight in a visit to Bayreuth, once home to German composer Richard Wagner and Hungarian musician Franz Liszt. An ancient settlement that dates back to 6,000 BC and is steeped with Roman roots, Straubing is the quintessential Bavarian city. Explore it as you wish, choosing from themed tours that offer different perspectives of the city. 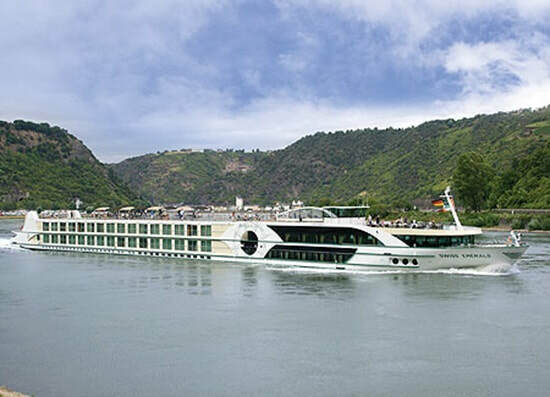 Your riverboat arrives in the 1,000-year-old city of Krems, located at the beginning of the Wachau Valley, celebrated for its exquisite Austrian wines. Spend the morning exploring as you wish, walking through town with a local guide or pedaling through the lush vineyard-lined landscapes of the Wachau Valley on a bicycle. Visit the former factory of Oskar Schindler, which is now a museum. Alternatively, visit Zakopane, nestled in the foothills of the Tatra Mountains, for a walking tour and time to explore on your own.